Greetings, beloved brethren, in the name of the Word made flesh. When the fulness of the time was come, the Word was made flesh: "God sent forth his Son, made of a woman, made under the law, To redeem them that were under the law, that we might receive the adoption of sons" (Galatians 4:4). Hallelujah, that is not manmade and dead religion! A little more than two thousand years ago, the Almighty Creator gave Messiah to the world in human flesh, just as He said He would do as far back as the Garden of Eden (Genesis 3:15), for the redeeming work of purchasing back the souls of men and ultimately restoring the planet. And since that First Advent, God has performed miraculously through His loving Spirit to quicken the spirits of sin-laden men and build His Church. The birth of Jesus Christ was an incredible miracle that fulfilled detailed prophecy very literally and jumpstarted a great work of redemption. The title inscribed on the Project Jagerna Scripture portions that FPGM prints and distributes from Kathmandu sums this truth up nicely as translated from the Nepali language: GOD BECAME A MAN FOR YOU! Not for Himself, that is what the gods of manmade religion do . . . they take on the form of human flesh in their mythologies to satisfy their own lusts and pleasures (cf. Genesis 6). But with the Creator, the Word became flesh for us, for you, for our redemption. Hallelujah, that is not manmade and dead religion! When Messiah was born, a Star came out of Jacob (Numbers 24:17). His sinless life and active obedience to the Law of God fashioned Him the perfect Passover Lamb, One that accomplished all man had failed to do in every dispensation from time immemorial. On the cross, Jesus took the tremendous debt owed to God by every man and paid it. Only a finite man could pay the debt for a man's crimes; Messiah was 100% man. But, only God could suffer the eternal wrath of God in a moment of time and yet survive; Messiah was 100% God. Three days later, He got up from the grave, proving that the Father accepted His sacrifice; and our Lord secured a lasting victory over sin and death that "as many as received him, to them gave he power to become the sons of God, even to them that believe on his name: Which were born, not of blood, nor of the will of the flesh, or of the will of man, but of God. And the Word was made flesh . . ." (John 1:12-14). And all of this was foretold long before, all over the pages of the Old Testament, across all three parts of the Hebrew Tanakh—the Torah (i.e. Law of Moses), the Neviim (i.e. Prophets), and the Ketubim (i.e. the Writings or Psalms). Jesus Himself reminded His disciples of this after He rose from the dead (Luke 24:44). At a recent Jewish Evangelism Missions Conference that we conducted up in Anchorage, Alaska, we surveyed some of the lesser known Messianic prophecies and how these answer many questions that arise from the reading of the New Testament. Most Christians are perhaps aware of prophecies like Isaiah 7:14, Deuteronomy 18:15-19, Isaiah 9:5-6, Genesis 49:10, Micah 5:2, Psalm 22, and Isaiah 53. But, what about Genesis 22:8, Numbers 24:17, I Chronicles 17, the whole context of Isaiah 7-11, Haggai 2:1-9, Amos 8:9-10, Daniel 9:24-27, all the details in Zechariah, all the Messianic Psalms, Hannah’s prophetic prayer in I Samuel 2:1-10, Genesis 3:15, and Jeremiah 31? The lesson of it all is pretty clear: God does exactly what He says He is going to do! When the Word was made flesh, it should have been no surprise. Yes, my friends, the name of God’s Son is the WORD OF GOD (Revelation 19:13). 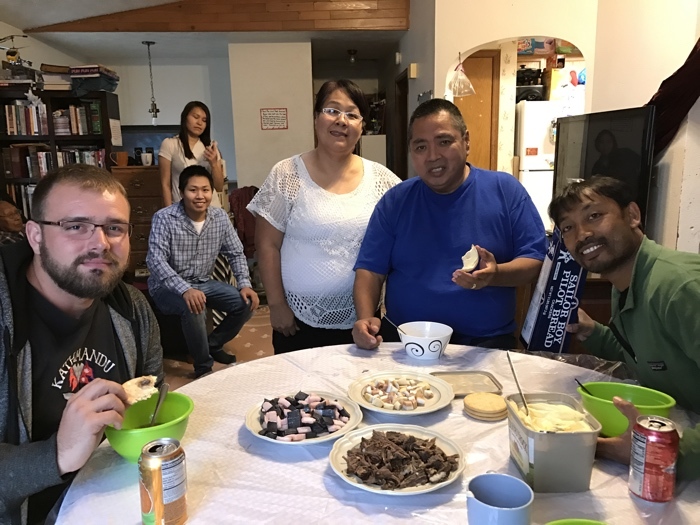 Sometimes, the gift of God to eat, drink, and be merry with friends involves polar bear meat, humpback whale, and beluga as it did with these native brethren up on Alaska. As far as this holiday season, I pray it's merry and bright for all of you. To celebrate, eat, drink, and be merry with family and friends, especially in dark times, truly is a gift from the hand of God (Ecclesiastes 8:15). And as we talk of celebrating the Birth of Christ on a day of the year when He may or may not have been born (no one knows or can know), please consider that to truly celebrate the manger in Bethlehem is to celebrate the Word of God, that God does exactly what He says He is going to do, literally! In the First Advent of the Lord Jesus Christ, 48 details of Messiah prophesied in the Old Testament hundreds of years before His birth were fulfilled literally. There is no reason to think otherwise when it comes to all the detailed prophecy that point to His Second Advent. To celebrate the Birth of Christ is to look for the Return of Christ, expectant like those in Jerusalem 2000 years ago waiting for redemption (Luke 2:37-38). Burn the lamp stands, my friends, and a crown of righteousness is promised to those who love His Appearing (II Timothy 4:7-8). Brother Ricky is back on the ground in Nepal this Christmas Eve. He and Bishnu flew back to Kathmandu the day after Thanksgiving. Since, a few Hebrew New Testaments have been distributed in Kathmandu to Israeli travelers; and Nepali gospel tracts and Jagerna Scripture portions have been going out across the city. 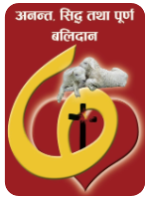 A young lady who has been coming to the church fellowship that meets in Brother Bishnu's stationary store has been taking a stand in her family for Jesus Christ. She has not professed to be born again yet, but she has been asking questions continually and has even suffered some persecution from her family for reading the Bible. This woman comes from a small village east of Kathmandu. It is a poor village, and it is still recovering from damages sustained during the 2015 earthquake. Bishnu was able to recently organize a Christmas outreach of sorts to this village, and many people showed up. Fifty-pound bags of rice and blankets were provided for thirty-five different families. Three of the families were Christian and greatly appreciated the help. It was a blessing to see genuine gratitude. From the first moment, we were very clear that no amount of rice or blankets or earthly gifts was as precious as God’s gift to them in Jesus Christ, the Messiah. Before the aid of rice and blankets was distributed, we gathered in a field and Bishnu and Ricky both took turns preaching the clear biblical Gospel. Each person took a New Testament and Nepali gospel tracts to read at home. Most of the villagers said that they didn’t know anything about "this Jesus." And, the mother of the young lady from Bishnu’s fellowship was also there and gladly received the Scriptures. Please pray for these lost souls. It is darkness that ensnares them, and it is darkness that has caused trouble for the aforementioned young lady when all she is doing is responding to the light of God. It will prove a blessing to have Kyle Stengel back on the ground with FPGM in South Asia. The day after Christmas, Kyle Stengel, a volunteer from Team Yeshua 2017, will be arriving in Nepal (i.e. after a nightmare saga in Dallas where he was refused permission to board the plane, forced to seek assistance from his South Dakota Congressman to quickly obtain a new passport, and enjoined to restructure his entire itinerary . . . but God worked it all out together for good in answer to many prayers on his behalf, and all the hassle directly resulted in an Uber driver hearing the clear and unadulterated Gospel) to help Brother Ricky for the next two months. There is a great window of opportunity in the dry season of Nepal to go out to the villages and do trainings for the believers in evangelism and to teach the pastors around the country. There is much to do, and it is always a blessing to have help on the foreign field for the sake of the Gospel. Please pray for Nepal as these trainings go on and as we continue to bring light into the valleys and hillsides of the Himalaya. The Israeli tourist season has shifted to southern India for the next month, but by February, Israelis will begin to trickle back north. Please pray for Kyle and Ricky as they seek out the lost sheep of the House of Israel. We are in a world of lost souls that God loves, and it is only the responsibility of Christians to share the message with them. As we continue to labor around the globe, you make every effort to reach out to your neighbor. One day, we shall all rejoice together in the harvest, as the sheaves are brought in, many to our surprise. As you might remember, Brother Ricky Springer came down with a pretty nasty E. Coli infection at the end of this summer. Thank you all for the urgency you gave to pray for his recovery. His return to South Asia was slower than we hoped, but the Lord worked it out all for good. Moreover, He was gracious and sovereign in bringing Ricky back to the United States as his illness set in, and a true safe-haven was provided for his recovery in North Carolina (something that would have been hard to find in Kathmandu). FPGM is truly indebted to Ronnie & Debbie Graham of Claremont, NC for opening their home and helping to care for a sick brother. 'Twas a hospitality that truly reflected the New Testament Church. The Grahams have supported this work from Day One and very obviously with more than financials. What a blessing! One more thing on the Nepal front: We just received this correspondence from Jesse Boyd's original Nepali language teacher and a brother in Christ who lost his village home in the Gorkha District as a result of the terrible 2015 earthquake. Praise God for the opportunity to help this brother rebuild his home out of the monies raised for FPGM's Nepal Earthquake Fund. And, praise God for a job that is complete. That earthquake fund was completely exhausted, but the fruits of it continue to bear.Thanks to all who gave. Here is a finished product. 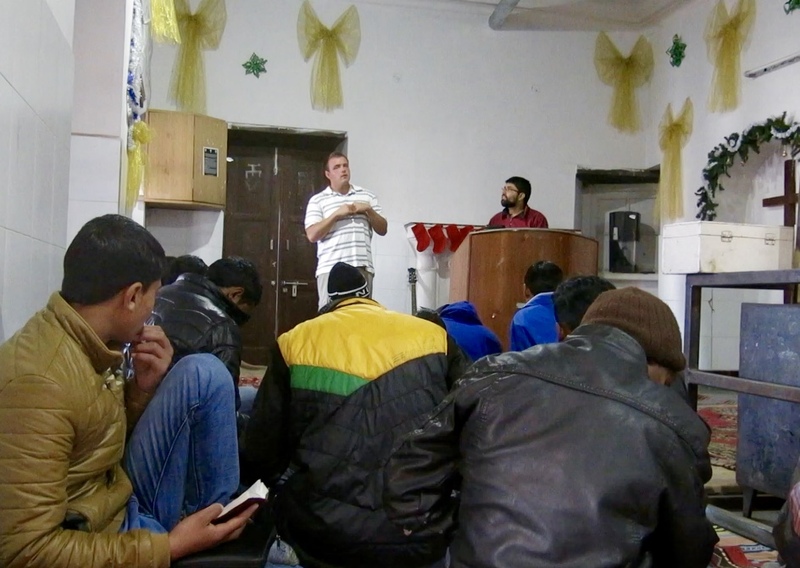 Brother Ricky teaches basic biblical doctrine at last year's winter discipleship training for persecuted believers in India. Lord willing, Brothers Ricky and Bishnu will be traveling to this training base around March 1st to cover the last two weeks of teaching. We are excited about what the Lord is going to do. It's humbling to be involved in preaching, baptisms, and true discipleship at the ends of the earth. And, those who support this work . . . it's your spiritual fruit. Thank you. 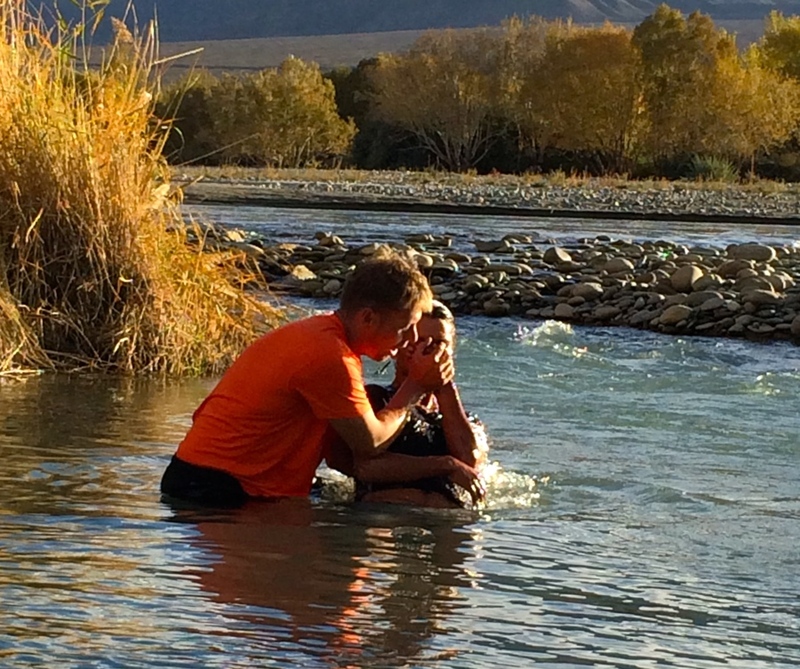 Of the Great Commission: Bold Evangelism is the foundation, Baptism is the identification, Discipleship is the goal. A few local encounters with Israelis at mall kiosks inspired a long road trip. While Brother Ricky recovered from his E. Coli infection in North Carolina, attempts were made to reach out to some Jewish people locally. While walking through a mall in Concord, Jesse Boyd had an interesting encounter with a young Israeli who had come to the States to sell Israeli products at kiosks in American malls. As we soon thereafter discovered, this is a very common phenomenon. Details as to when, where, and how many are difficult to find as many of these are working illegally on tourist visas for companies that make big promises while taking big advantage of youthful naivete. Moreover, the change of venue and shuffling of employees in this line of work seems almost daily. 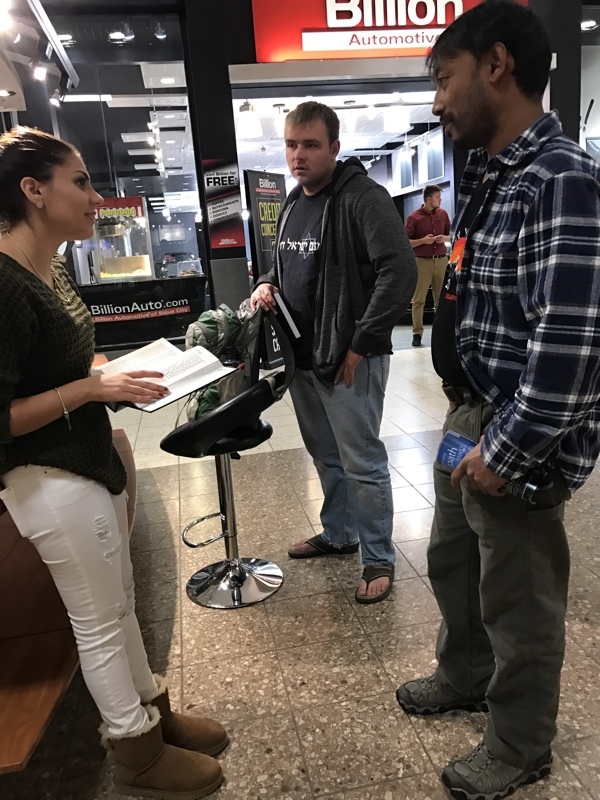 After this initial encounter in Concord, we visited a few of the local malls here in the Piedmont of North Carolina to try and share the Gospel and distribute free hardback Hebrew-English copies of the Scriptures to Israeli kiosk workers. Amazingly, we found quite a few, and quite a few copies of the Word of God were gladly received. At once, the opportunity to use Ricky's sick leave in the United States for a long road trip paired with a scavenger hunt of sorts seemed alluring. As it is with Israelis who travel to South Asia and South America after completing their conscripted service in the Israel Defense Forces (IDF), so it is with some who have started coming to the United States and Canada to try and earn what the kiosk companies promise: a lot of money in a short amount of time. 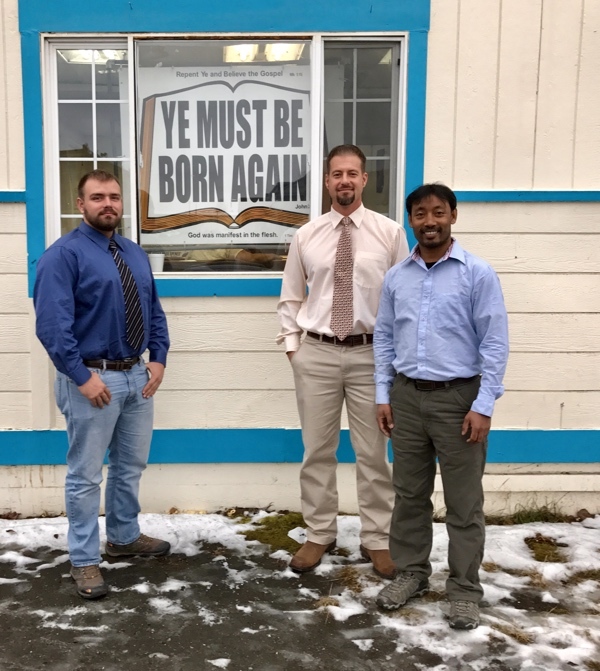 Last year, Jesse Boyd made a preaching trip up to Alaska with Brothers Shawn Holes and Ken Lightsey. During their time up there preaching on street corners and on college campuses, a small congregation of believers made contact with FPGM and became interested in supporting and becoming involved in the work of Jewish Missions. 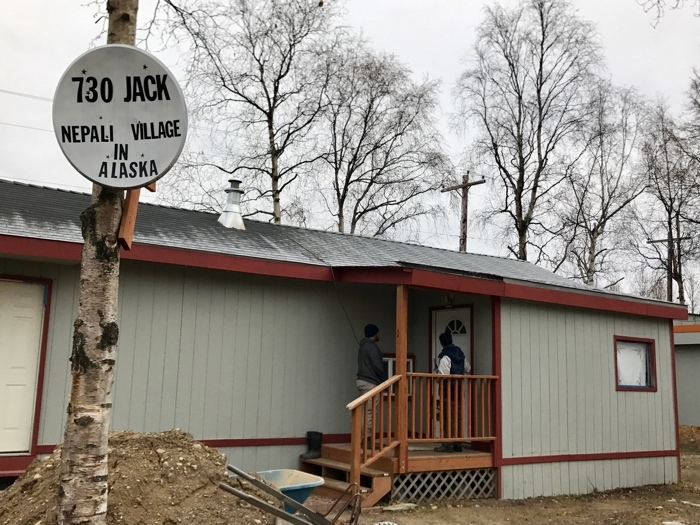 As a result, FPGM and Revelation Baptist Church in Anchorage put together a missions conference of sorts that would focus upon Jewish Missions ahead of an already scheduled conference which would focus on missions in general. With this conference on the schedule for late October and the potential for distributing copies of the Hebrew Scriptures to Israelis working at mall kiosks all over the United States and Canada, Jesse and Ricky loaded up the Nissan Pathfinder and made another long road trip--12,339 miles in five weeks! When you are scheduled to teach and preach in a distant city, why not take the opportunity to line an overland route with a gospel witness. This is exactly what we did. From Vale, North Carolina to Anchorage, Alaska and back again, the Gospel went out “to the Jew first, and also to the Greek” (Romans 1:16). Thanks for all those who prayed for us in this endeavor. With so many miles to drive in a very short amount of time one, the best way to break up the driving was to stop at any malls along the route for the day and simply comb through (doubled as needed exercise) to search for Israelis. We had an entire trunk full of Hebrew Tanakhim (i.e. our Old Testament) and New Testaments to distribute, and by the time we reached Alaska, our supply was virtually exhausted. Praise God for the foresight to have some boxes shipped up there where we found them waiting for the return journey. As a direct result of this long road trip, 30 Tanakhim and 20 Hebrew New Testaments were freely distributed and readily received by Israelis. We combed 37 malls, and found lost sheep of the House of Israel in 19 of them. That's greater than a 50% success rate on a scavenger hunt of sorts with a lot of unknown variables! The Lord is good. Once, in a Michigan mall where we were sad to find no Israelis, the Lord put a Palestinian woman from Bethlehem into our path. Wow. These t-shirts brings the Israelis to us. "I love the Hebrew language and the Jewish people because the Creator God used these as instruments to give His Word to all mankind. Therefore, I, a Gentile, can know the One True God, the God of Israel, and Yehshua Ha'Messiach (i.e. Jesus, the Messiah)." Simple responses like this, of course, only arouse more curiosity. Israelis almost never meet born again Christians. To explain to them that God has used their people to truly bless the world through Messiah is like a dream to them. Most are leery of the phrase “chosen people” because of the pride in the orthodox religious community that thinks Jewish people are better than everyone else. But, once the Israelis can see that God’s love for the world through the Messiah was worked out in history because of God’s faithfulness to the Jewish people, they can understand that Israel's place as God’s “chosen people” is more about God’s grace than Israel’s supposed greatness. Such is why we, as Christians, can return the favor to the Jewish people. We can love them and minister to them out of gratitude for all that God has done with their people throughout history: Their story is a testimony of God's faithfulness. They were used to give the world the Word of God, both Old and New Testaments (all Jewish authors). And, they are the progenitors of the Messiah. Jesse shares the Gospel with a Jewish girl from Azerbaijan in a Saskatchewan mall. Some of the conversations we enjoy with Israelis in the malls are prolonged and involve going into depth with the Scriptures. Some are brief because of shopping customers. Regardless, we don't leave without offering them a gift: "Because God used your people to give His Word to all men, we want to express our gratitude by making sure you have a copy of the Hebrew Tanakh while living and working in a foreign land. It's Hebrew and English, so you can use it as a tool to better your English." Almost everyone to whom we offered a Hebrew Bible gladly received it, and some were even brought too tears by the kindness of this special gift in their language. While continuing to explain how God changed our lives through Israel’s Messiah, we would obviously bring up some Messianic prophecies written in their Tanakh. Sometimes, this would lead to further questions or debate. Having the Scriptures right there on hand allowed us to simply open the book and let God speak for Himself. We spoke about Messiah coming soon to save Israel from all her trouble and to bring paradise back to earth. One young man said, “Oh, yes. I hope so! I know that we have to keep doing mitzvot (i.e. good deeds). And, once we are all doing so many mitzvot, Messiah will come.” Obviously, the Evil One, that crooked serpent, that old Devil, has caused Israel to believe a lie. Modern-day Rabbinic Judaism, like all manmade religion, is built upon good works. Whether it is for personal or national salvation, the Jewish people are typically hoping that their good works will please God are completely ignorant of clear passages from their own Bible that speak otherwise (e.g. Isaiah 64:6; Ecclesiastes 7:20). We were able to explain the problem with mitzvot to this young man and give testimony of the grace of God in Messiah: "Every man truly deserves punishment for all of his evil deeds. Yet, the deeds and the sacrificial work of the Jewish Messiah, the perfect Passover Lamb, are God’s grace to men." The young man from Israel took a Hebrew gospel tract and a Hebrew Tanakh. He just simply was not ready to read the New Testament, but the name of Jesus was proclaimed, and as we departed, he held in his hand the very book form which Jesus and the Apostles preached concerning Messiah (cf Luke 24:44). Jesus the Christ is all over the Old Testament! So Happy to Receive the Tanakh and a Hebrew New Testament! Ricky then made a final plea to the woman to understand the Gospel. She was actually moved to tears through the whole encounter and both ladies were very grateful to hear that someone in the world loves the Jewish people. They too gladly received a copy of the Hebrew Scriptures. This young lady was shocked to see the Hebrew title for "New Testament" right there in Jeremiah 31:31. One young Israeli was stunned when we walked up to him and offered him the Hebrew/English Bible. He attributed it as a "miracle from God." He said that he had been really hoping that his mother could send him a copy of the Hebrew Tanakh so that he could have it while he was away from home. He also was very curious about the teachings of Jesus and gladly received a Hebrew New Testament. He had been in a relationship with a girl that grew up in a Christian family and some of the things they had talked about had peaked his curiosity. Not all were like him, however, so interested in talking about Yeshua. While we were giving the Scriptures to one young woman, she asked, “Is this my Bible (a Tanakh) or is this the New Testimony (New Testament)?” Ricky replied, "This one is the Tanakh. And, I do have the B’rit Ha'Chadashah in Hebrew and English. I would like to give it to you as well." She said, “No, they are different. They teach very different messages.” We then opened to the front page of the New Testament and she started reading in Hebrew from Matthew 1:1: “The book of the generation of Yeshua Ha'Meshiach…” Immediately she exclaimed, “See! It’s different. Not the same. See, Yeshua.” In her mind, she could not conceive that Yeshua (Jesus) has been the greatest friend to the Jewish people despite the Crusades or any anti-semitism from nominal Christian denominations. So, he showed her the prophecy in Jeremiah 31:31 about God declaring a B’rit Ha'Chadashah (New Testament) for the Jewish people. She was surprised to see the very Hebrew title of the New Testament right there in her Tanakh. Ricky told her to read the New Testament and see who Yeshua is for herself. She took the New Testament and said that she would read it. It's pretty sure that she did not expect to have a conversation like this when she went into work that day. It truly was wonderful to make it across the United States and Canada and to distribute Hebrew Bibles to Israelis all along the way. The brother that joined us to learn about Jewish outreach in Edmonton has since ordered more Bibles and has continued to give them out in the malls around the city. Also, the four-day Jewish Missions Conference in Anchorage has aborn fruit. Some men from the church joined us for street evangelism around Anchorage and in a couple of malls talking to the Israelis. One sister from the church sent us a message after we arrived back in North Carolina to let us know that she had given a Hebrew Tanakh to an Israeli kiosk worker and that he was open to talk more. She has been able to follow up with him a few times already and has even given him a guided tour of Anchorage. Well, lookie what we have here! While we were in Alaska Brother Bishnu was able to fly over from Nepal to help us do evangelism around the State. He was with us as we preached downtown and helped distribute some socks and Gospel Tracts to the homeless. He was with us as we preached on the campus of the University of Alaska in Anchorage. And, he traveled with us to sow seeds of the Gospel in far corners such as Kodiak, Valdez, and Fairbanks. He was a big part of the blessing it was to give testimony of the Word, aside from the Israelis, to Gentiles from 20 foreign nations, including a brother who recently fled the persecution against Christians in Egypt, a Somali Muslim, a Lebanese Muslim, a Palestinian from Bethlehem, and a number of people from India. Bishnu also joined us while sharing with the Israelis in the Alaska malls and contributed to the conversations. He left better equipped to help Brother Ricky reach the Israeli backpackers who will be coming to his country this upcoming season. On top of all this, Bishnu was there with us when we found some Nepalis up in Alaska. And, it was us who learned from him as he boldly shared the Gospel with his own people and gave them copies of our Project Jagerna Scripture portions. Later, because he could not obtain the necessary visa to travel with us through Canada back to the Lower 48, Bishnu flew to South Dakota and waited there for us to drive by and pick him up. While there, he was able to give testimony at a couple of churches and travel with some good brothers into Minnesota and Wisconsin to preach on a few college campuses. From South Dakota back to North Carolina, he was with us when we shared with Israelis in Iowa, Nebraska, Missouri, and Kentucky. On a couple of occasions, Israelis who may not have taken a New Testament were moved by the testimony of a dark-skinned Nepali who explained that the God of Israel changed his life and that he teaches his children about this God from the very Bible given to the world by God through the Jewish people. We would like to wish you all a Merry Christmas from the Himalaya! May God give you the grace to appreciate even more His gift of salvation through Christ. Indeed, this salvation is big. Oh, how I appreciate this greatest gift and all that the Almighty designed before the foundation of the world and fullfilled in His right time. Glory and praise be unto God! Its been a long time since I asked you to pray for my trip to Alaska. The Lord gave me great opportunities to proclaim Him in different parts. Though I was not able to secure a Canadian Visa, He gave me opportunities to preach on three American college campuses, and it was so good to fellowship with the Bethel Nepali Church in New York City and encourage them in a Sunday service to preach the Gospel to the lost. Brother Bishnu from Nepal preaches open-air in downtown Anchorage, Alaska. So, from New York City, I flew up to Anchorage to join my friends, Jesse and Ricky with FPGM. We preached at UAA (University of Alaska, Anchorage) and on some street corners in Anchorage. We flew out to Kodiak Island and got to preach in front of a school there. The students stopped to hear the Gospel and took the Word with appreciation. We climbed one of the Three Sisters, drove around the island and hiked out to land's end far past the end of the road. There, the Lord gave us an awesome time watching huge whales and exploring old WWII bunkers. Back in Anchorage, we found a restaurant in Anchorage with some Nepali people working there. I was very happy to meet Sudesh Gurung from near to my hometown of Pokhara. He invited us to his house. His mother and sister heard the Gospel for almost an hour, and the sister asked some good questions. They fed us good Nepali food with some very hot chilly grown in their kitchen. We went around seeing God's awesome creation of snowy mountains and glaciers. One morning, we drove through a 5km tunnel and then hiked up to Portage Pass which the Russians formerly used before they sold the whole land of Alaska to the United States on March 30, 1867 for $7.2 million. From the pass, we saw the huge Portage glacier beside a big lake. I could not stop myself from hiking to the glacier and touching the giant pieces of ice for the first time in my life. Some trekkers took tracts. On the way back, I shared the Gospel to a girl working in a coffee shop. The scenery was really great. Then on our last day at Anchorage, we went to a Nepali Village in Alaska. We just drove into the compound and the owner of the property, a Nepali woman from Jomsom, welcomed us in her house with Nepali food and salmon fish curry. Then, we shared the Gospel with her and went door-to-door to other Nepali houses with the Gospel. One local native church joined us on the street corner downtown and that really encouraged us. The police tried to stop us, but we refused to leave. They called more police just to intimidate us. I believe the Lord brought them there just to hear the Gospel. They stood in the cold during the whole time of our preaching. Though it was freezing cold, the native children dressed in frocks did not feel much cold as they were from Barrow, the north tip of USA. They eat whale fat which makes them warm from inside. One of the families invited us to eat polar bear meat with bowhead whale and beluga. It was really good to encourage the church in Anchorage. I was surprised, these Eskimo people looked like just like my wife's tribe, Gurungs. From Anchorage, we drove to Fairbanks through McKinley Park and Healy. We walked through a wilderness of the park for a few kilometers, but everything was frozen and quiet. That evening, I encouraged a youth group at a Russian Church. One young Russian couple hosted us for few days, and we had a great time at Chena Hot Springs waiting to see what would happen in the US elections on November 8th. Earlier on Election Day, we also preached the Gospel in downtown Fairbanks outside the courthouse. Many people took the tracts. It looked like the whole land was covered with snow. from Fairbanks, we drove through heavy snowfall down to Valdez, a coastal town. Not many people were out, but we put some Gospel literature on the cars, on houses, and also on a small university campus. On the way back to Fairbanks, we walked cross some frozen lakes and got to see the amazing creation of God, the Northern Lights while we were passing by Delta Junction on the Alaska Highway. From Fairbanks, I flew down to Denver. I shared the Gospel with a Nepali girl from Kathmandu who was working in a restaurant there. I joined a solid church to preach the Gospel in downtown Denver and then found some more Nepali people working in a restaurant at the Denver airport. I was thrilled to give them a Gospel of John and other literature in their own language, my language. While I was eating my breakfast, I saw a Nepali girl also eating at the next table. She was shocked when I approached her with a Gospel of John and speaking in Nepali. I saw a big snow storm in South Dakota right after we preached at Winona and La Crosse Universities. We were in Winona, Minnesota for five hours and many homosexuals came out to protest against the Gospel. One professor came out to turn the students against us. Some Christian students also came out just to be confused about the situation. But, I got to teach them about the urgency of the Gospel. They prayed for us while we were preaching. There were some very good conversations with students. They had a lot of good questions. One American Jew came out with a Hebrew sign reading "Shalom." He just left when I said to him that we loved Israel and wanted to visit Israel. The next day we went to La Crosse in Wisconsin, expecting a worse situation than in Winona according to what we heard. But, God gave such an open door that day, and I was able to give out more tracts at one time that I have ever done in any of my past trips to the USA. I preached open-air there with a speaker, and many people had good questions. Some brothers laboring among the students came up to thank us. One girl came back after hearing the preaching just to discuss more. She was saying that God would allow everyone into heaven whether they believed in Christ or not. She had very wrong doctrine, and we found that she had never read a Bible. We talked to her for over an hour and encouraged her to read God's Word for herself, asking God to reveal the Truth. Later, after Jesse and Ricky picked me up in South Dakota and we headed for North Carolina, it was a memorable experience to sleep in an Illinois town park when the temperature was below freezing. I was so thankful for the good 0-degree down sleeping bag I had purchased in Kathmandu just before the trip. We met a lot of Israeli people in the malls, and they really appreciated the Word in Hebrew. Many of them took Tanakhs with much appreciation, and more than half of them also took a Hebrew New Testament. It was amazing to share the Gospel with Jewish people and so sad that many did not have any clue about the Messiah spoken about all over their Bible. I just pray that the Lord opens their spiritual eyes to see the Truth. From South Dakota, it was two long days of driving and stopping at malls before we arrived in North Carolina where I was able to share Thanksgiving with the brethren of New Testament Christian Fellowship. The next day, Ricky and I flew back to Nepal together, and I was reunited with my sweet family. It was a long trip of five weeks, but it waS really good in terms of Great Commission Ministry. Thank you very much for praying continuously. I pray that God gives you many opportunities to share Christ this Christmas season. Do not make Christ your personal Savior only, make Him public as the shepherds did in Luke 2:16-18. Please pray for us as we do the same here until He comes again as the King of Kings and the Lord of Lords. Below is a brief slideshow that we recently put together for sharing at a local church about the Alaska Missionary Journey. Keep in mind that this was originally a powerpoint presentation altered to be a video set to music. Commentary is absent, but it's a good testimony of the Lord's work. Enjoy, and give God the glory. In conclusion, we wish all of you a Merry Christmas and a Happy New Year in Christ Jesus! Pray for us as 2017 will undoubtedly yield much in terms of ministry opportunity. Team Yeshua 2017 will be based in Peru, and we are desperate for laborers willing to give up an entire summer to go share the Gospel with both Jew and Gentile at a literal end of the earth. If you know anyone at least 18 years of age who might be interested, have them contact us as soon as possible. Pray for Ricky, Bishnu, and Kyle as they labor in Nepal and India these next couple of months. Please pray for the upcoming discipleship training in India for the persecuted Muslim and Buddhist background believers. On January 21st, Jesse Boyd will have the distinct privilege of marrying a young man and a young lady who were part of Team Yeshua in 2015. It's been awesome to watch the Lord bring together for life two people as a result of a summer missions endeavor. The next week, Jesse and his family will travel to South Dakota to conduct a Jewish Missions Conference there much like what took place up in Anchorage at the end of October. Another spring journey to Israel is also in the works. As always, pray for the Lord's provision, His guidance, and for true boldness. At the end of 2016, we see that this year's support for Full Proof Gospel Ministries is down $41,000 from 2015 and almost $19,000 from 2014. We don't say this to complain or to play on heartstrings. We say it to give testimony that in 2016, despite some numbers, it can be said to us as it was said to the children of Israel at the end of their wilderness wanderings: "the LORD thy God hath been with thee; thou hast lacked nothing" (Deuteronomy 2:7). We marvel at all the Lord did this past yea, and how He provided all along the way above and beyond what we thought we had or needed. How His ways are past finding out! Thanks to all of you who gave to this work and held the ropes for us with your prayers. Tomorrow morning, Jesse Boyd will be preaching the final segment of his five-part series on the Advent of Messiah. Stay tuned, and these will be posted for your online edification and enjoyment. And in despair I bowed my head; "There is no peace on earth," I said; For hate is strong and mocks the song; Of peace on earth, good-will to men! Then pealed the bells more loud and deep: "God is not dead, nor doth He sleep; The Wrong shall fail, the right prevail, With peace on earth, good-will to men.